Herman Winick, Professor Emeritus in the Applied Physics Department of Stanford University and Assistant Director of the Stanford Synchrotron Radiation Laboratory (SSRL) division of the Stanford Linear Accelerator Center (SLAC), has worked tirelessly on behalf of human rights throughout his career and has been instrumental in the success stories of several SAR scholars. Winick began focusing on human rights activities in the 1980’s when he worked on behalf of dissidents from the Soviet Union, China, and other countries. In the years since, he has chaired the American Physical Society (APS) Committee on International Freedom of Scientists and the APS Forum on International Physics. In 2005 he received the Heinz R. Pagels Human Rights of Scientists Award from the New York Academy of Sciences, and in 2009 he received the Andrei Sakharov Prize, an honor awarded every two years by the APS in recognition of scientists who have worked to uphold human rights. His work has had a great effect on many, in particular, three SAR scholars from Iran, Zimbabwe, and Uzbekistan have been able to safely continue their work through Winick’s efforts. For many years Winick fought on behalf of an Iranian physicist who was persecuted and imprisoned by the Iranian government for his support of democracy and human rights. In 2001, Winick was the driving force behind a letter writing campaign with 32 Nobel Prize laureates that helped pressure the Iranian government to release the scholar. Winick further helped the physicist secure research positions in the U.S. at two SAR member universities and he fought to help the scholar reunite his family in the U.S. “I just got very upset that a guy like him, who I respected so much, should be in prison for views so similar to mine,” said Winick. In 2007, Winick secured funding from the President of Stanford University to provide a fellowship for another at-risk scholar, a Zimbabwean poet and journalist who escaped threats and physical attacks at home and had nowhere to turn. Winick and his colleagues at Stanford not only provided a safe environment and teaching opportunity for the scholar in the U.S.; they helped institutionalize SAR at Stanford University and paved the way for Stanford to host additional scholars in the future. A human rights activist and lawyer from Uzbekistan was the next recipient of Winick’s work at Stanford. This scholar fled Uzbekistan in 2007 and was offered a position as an at-risk scholar at Stanford for the 2007-08 academic year. Despite the fact that the scholar did not work in the same field, Winick went above and beyond to provide guidance and assistance to her during her time at Stanford. He served as the scholar’s mentor, connected her with colleagues, opened up his home to her when her lease expired and personally worked to raise funding to contribute to her appointment at NYU School of Law when her position at Stanford ended. 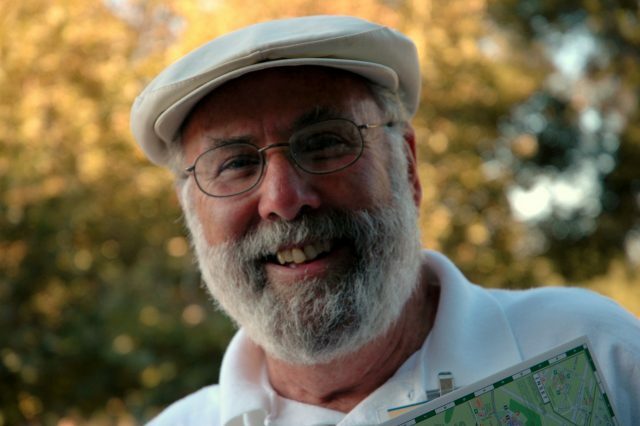 Herman Winick is an excellent example of how one SAR member can greatly impact the lives of scholars. SAR applauds his effective and tireless advocacy on the behalf of human rights for over twenty years.